Gone are the days when you had to live with the skin tone assigned to you by nature. Good news is: now you are the boss of your skin. Mean to say; you can take our IV therapy for skin whitening to brighten your skin. How much does it cost? What about side effects? Here is what skin lightening IV therapy in Dubai are like. All men and women are created equal but some people want to have a lighter skin tone. To get a brighter and lighter skin is the wildest dream of many in our society. Today, skin care experts have different ways to realize this dream. The skin lightening has never been this easy; thanks to advanced techniques such as skin whitening laser treatments. 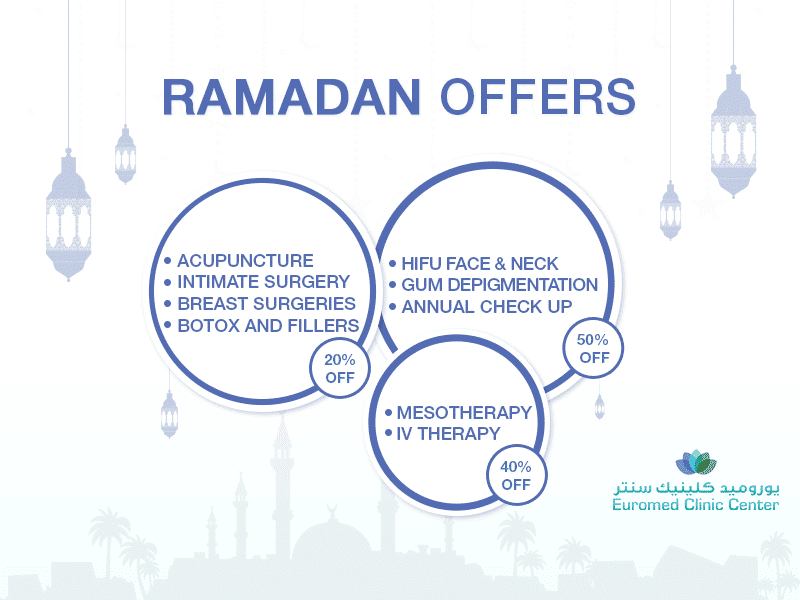 The Euromed Clinic Center Dubai offers a variety of skin whitening methods. Here is what it is like to have an IV therapy for skin whitening. What is IV Therapy for Skin Whitening? Some medications are available in the market that can be injected into the skin to lighten the tone. Intravenous or IV therapy is a famous way to lighten the skin color. First of all, it is an effective, short, safe, and simple way to achieve an enhanced skin tone. The working mechanism is simple and easy to understand. An expert delivers medications into veins to get particular skin tone enhancement results. This treatment works for most of the people and here is how much skin whitening IV therapy costs in Dubai. If you want to know more about the skin whitening IV therapy cost, one of our experts would love to be a help. It all starts with an appointment; book yours now. All cosmetic treatments have minor and major side effects that last for a short or long time. If you choose us, you do not need to worry about the side effects because our doctors know how to keep you safe from all possible harms. This technique for brightening the skin tone is safe for most of the adults. If you are breastfeeding or pregnant, you should consult our doctor before taking it. We have other skin whitening methods that are also effective, simple, and safe. Have you got questions? Please book an appointment now to learn more. Now you can easily enhance your skin tone by taking IV therapy for skin lightening from Euromed Clinic Center Dubai. Do you have questions about the IV Therapy for Skin Whitening in Dubai? Please do not hesitate to contact us if you want to know more. You can call us or fill the short online form any time to get in touch with us. We are waiting at the chat box! See you very soon!